Lana Lopesi is an author and critic based in Tāmaki Makaurau, Aotearoa. Lana is the Editor-in-Chief for The Pantograph Punch and author of False Divides (2018). Previously Lana was Founding Editor of #500words and Editor of Design Assembly. Lana’s writing has featured in a number of publications in print and online as well as in numerous artist and exhibition catalogues. 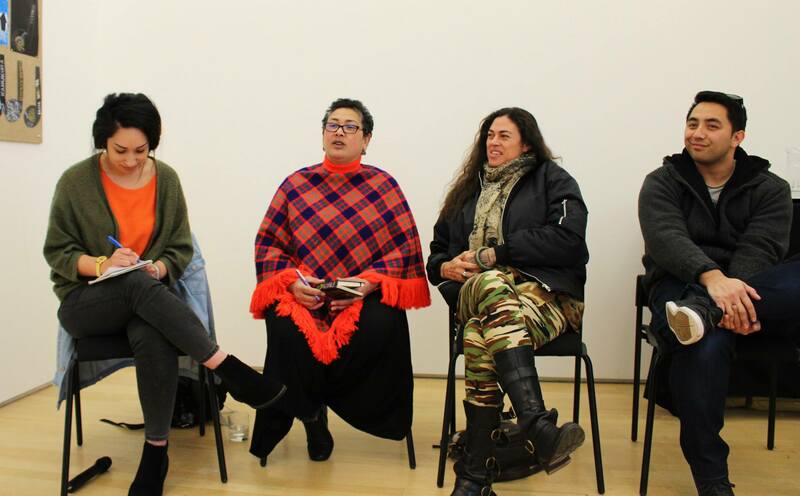 She is also part of a global Indigenous Curatorium who first formed to curate the exhibition The Commute at the Institute of Modern Art, Brisbane (2018) with future projects including Layover at Artspace Auckland (2019) followed by Transits and Returns at Vancouver Art Gallery (2019). Lana also served as a judge for the Best Writing by a NZ Māori or Pacific Islander category for the Art Association of Australia and New Zealand awards. Lana is currently completing her Doctorate in Philosophy at Auckland University of Technology focused on the contemporary archive and in particular looking at how social media might act as an archive of our everyday Indigenous interactions. There is she also a researcher for the Vā Moana / Pacific Spaces research cluster – an international research platform engaging Pacific and Western thought to investigate Vā Moana or Pacific Spaces.